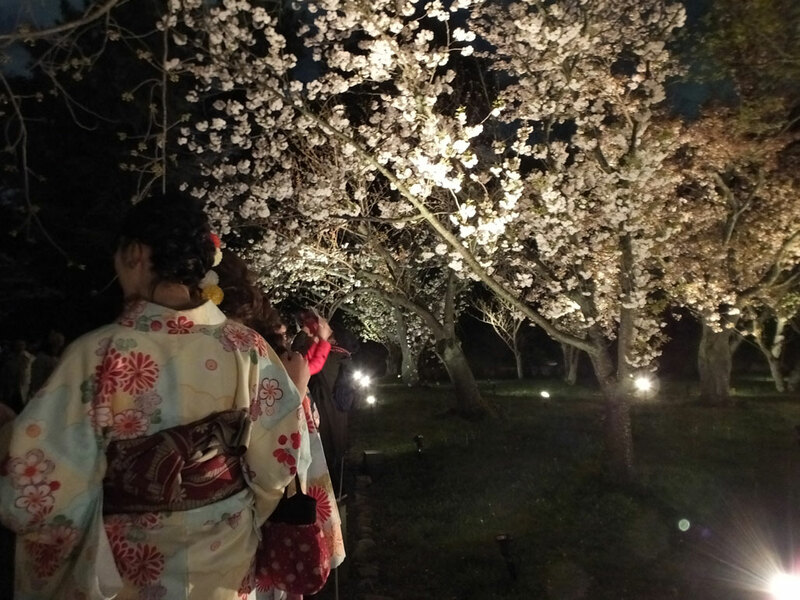 Usually the sakura (cherry blossom) are in full bloom in Kyoto around late March or early April. 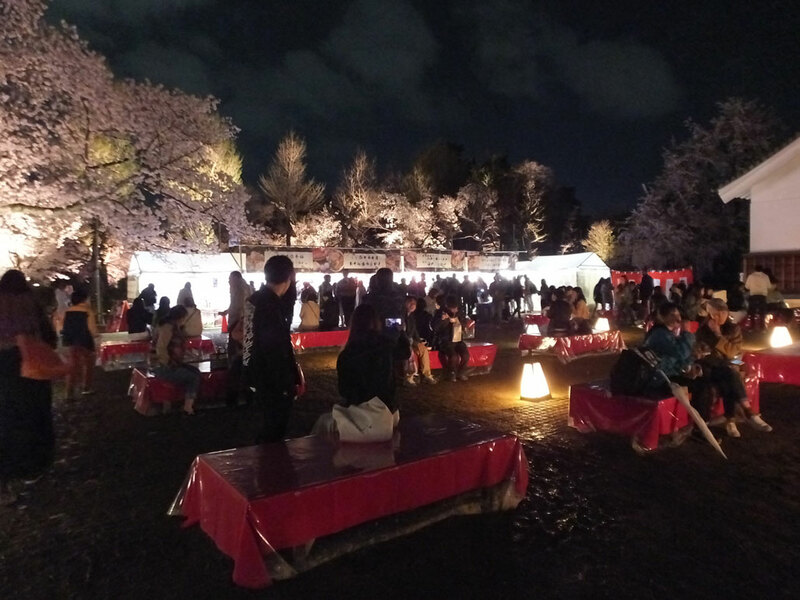 If you stay in Kyoto in the sakura season, why don’t you go and see illuminated sakura at Nijo Castle? 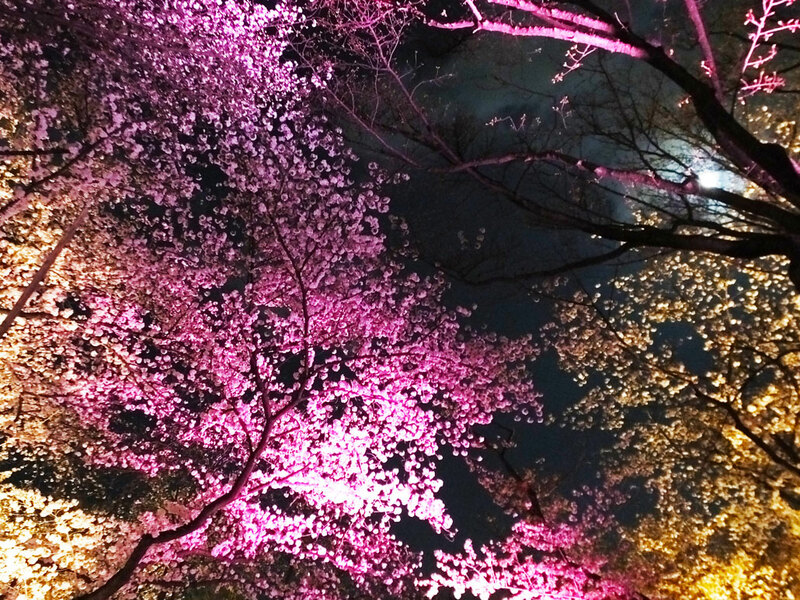 There are 300 sakura trees of 50 species and they are very beautiful. 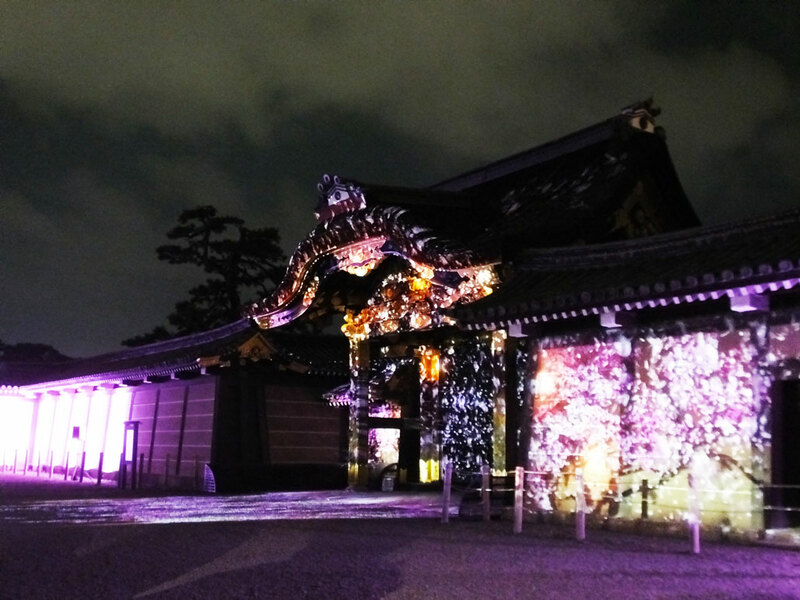 Nijo Castle is a World Heritage Site in Kyoto, and its sakura illumination festival is very popular among tourists. 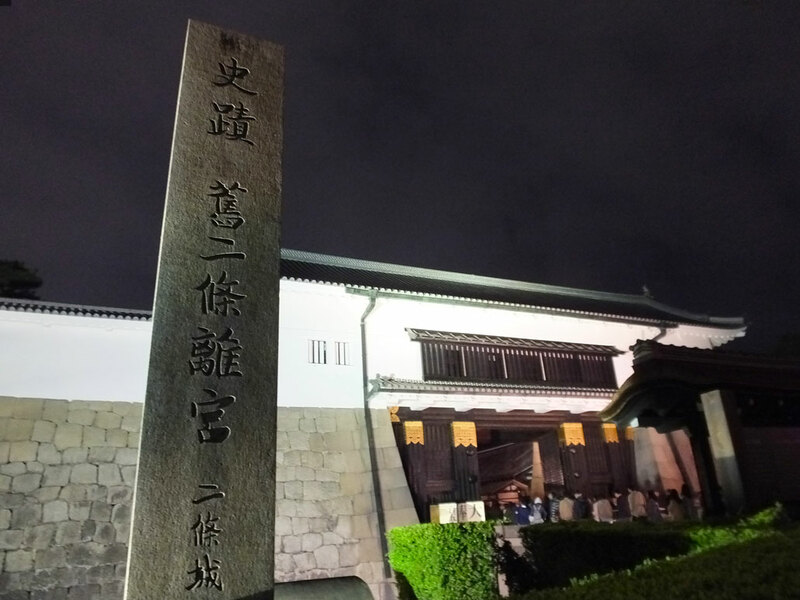 Every year it is crowded especially on weekends, so probably you need to wait in a long line to enter the castle. However, I think it is definitely worth waiting. I went there (in 2017) and had a wonderful time, so let me introduce you the festival. Soon after entering the castle, you will see a gorgeous gate called karamon, which literally means “Chinese gate.” After the karamon gate, you will see Sakura no Sono, literally meaning “Cherry Tree Garden.” There are many sakura trees in the garden, including Japanese cherry (Japanese: sato-zakura) that is said to have been developed in the Heian Period (794-1185). 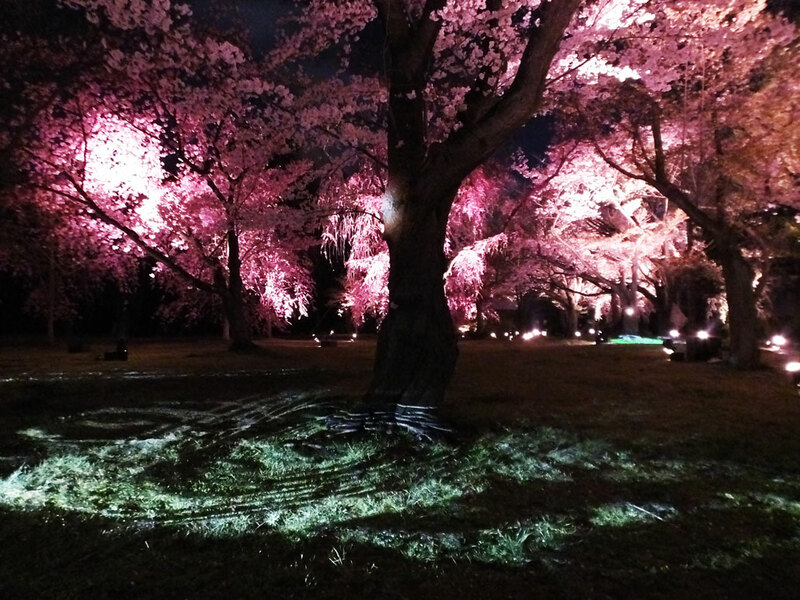 After Sakura no Sono, there is Seiryuen, a large garden with various sakura trees. There are lots of rocks and lawns, and the sakura trees look beautiful among them. 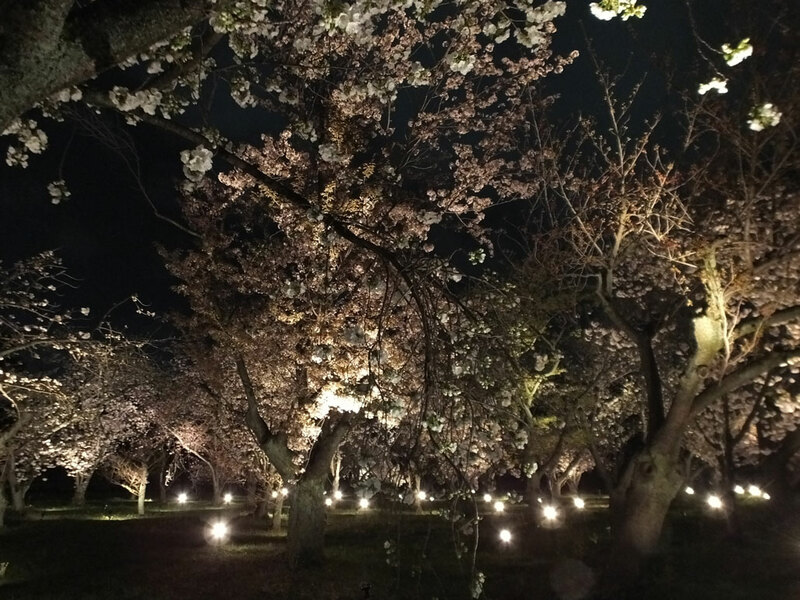 Seiryuen has a different atmosphere from Sakura no Sono, with wild cherry trees (Japanese: yama-zakura) and weeping cherry trees (Japanese: shidare-zakura). The sakura tunnel is fabulous, and this is an unforgettable place for me. After a long walk in the chilly weather, there is nothing nicer than a cup of hot drink. At a garden next to Seiryuen, there are food and drink stalls. There you can take a rest surrounded by sakura trees. 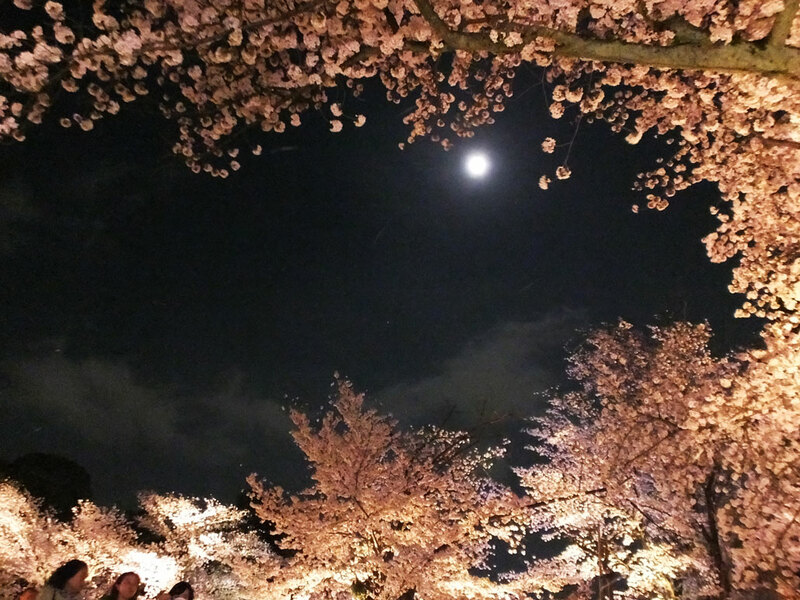 I could see the moon with the sakura trees, and I thought it was really good to go there even though I waited for a long time before entering the castle. 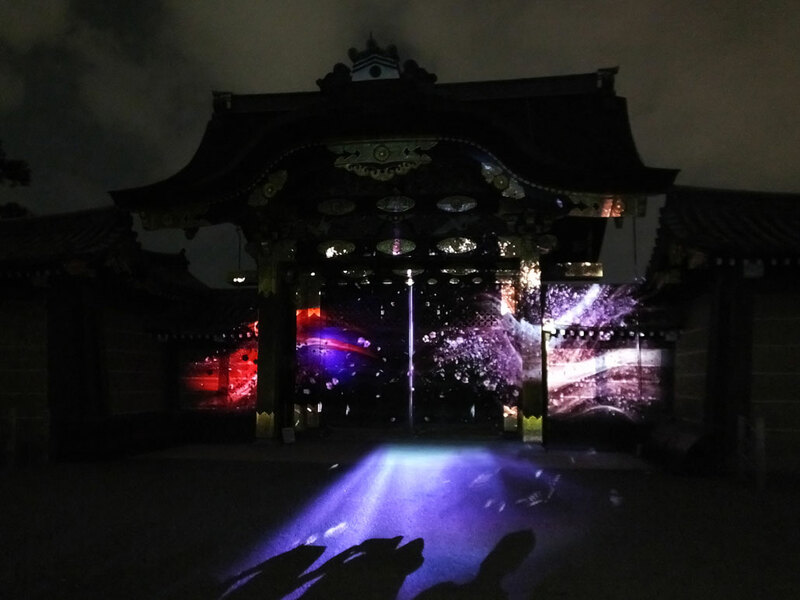 There was a 1 minute illumination show at the karamon gate. The karamon gate is rich in sculpture, and the show on the beautiful sculpture was breathtaking. 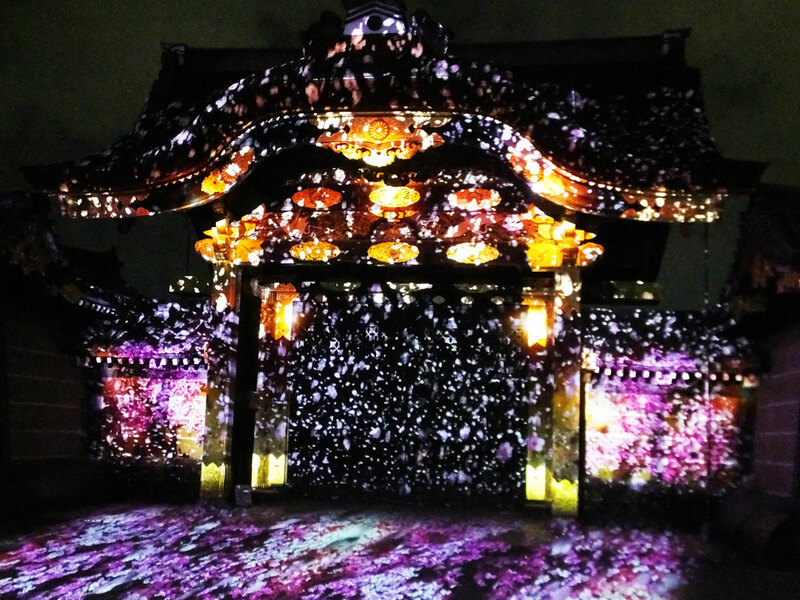 At Seiryuen, there was another illumination show that was inspired by noh, or classical Japanese musical drama. 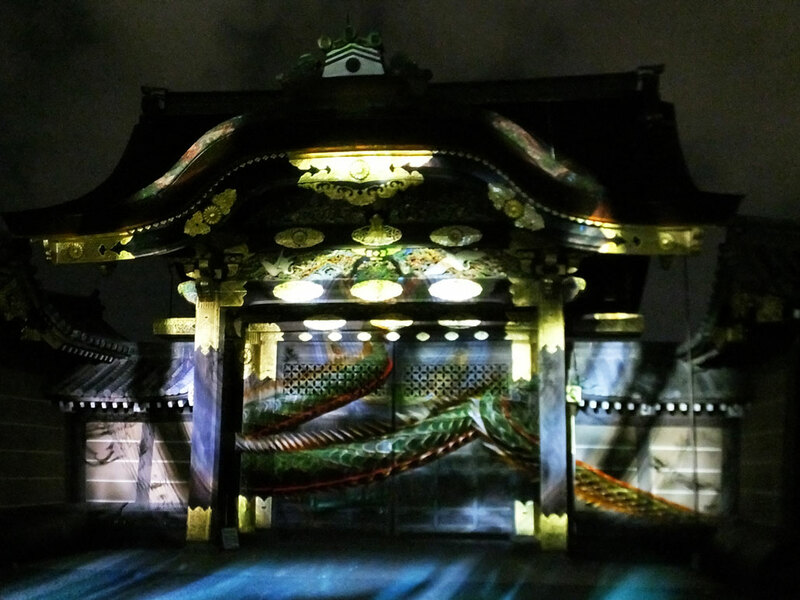 It was projected on the shoji screen of a traditional Japanese building, Kountei. It had a calm and mysterious atmosphere, but I felt it was powerful at the same time. The 3D projection mapping shows will be held in 2018, too. I heard that the show will be more attractive with an additional show at the moat. I’m sure it will be amazing!